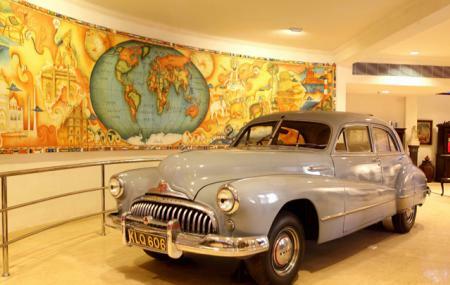 A family collection museum built in the memory of Revi Karuna Karan- a prominent coir industrialist and art enthusiast. The museum houses the art collection maintained over three generations and includes silverware, crystals, precious and semi-precious stones and furniture. Home to the world’s largest private collection of Swarovski crystals, the museum is spread over 28,000 square feet and is a must-visit place in Alleppey. How popular is Revi Karunakaran Museum? People normally club together Ambalapuzha Shree Krishna Temple and Alappuzha Beach while planning their visit to Revi Karunakaran Museum. Well maintained museum with verities of antique furniture and art works. Entry fee is 150. 1 hrs duration to complete the tour. This museum gives an idea about the economy in Alappuzha in the olden times. The museum is run by Revi Karunakaran's wife in memory of her husband. The museum displays variety of artefacts and paintings. The atmosphere is calm and quiet. Easily accessible because it's in the center of the town. The museum also has crystals and ivory collection. It was a good experience to visit the place. Fantastic museum run by private organisation.. Entry fee is high as it is Rs. 150/- per adult, but worth spending the money.. Fantastic collections of paintings, ancient antiques and silver are kept.. It's mesmesrizing and awesome experience viewing all the collections.. Must visit place in Alleppey.. I think the main point to say about this museum is that it is the mirror of what happens when a man with too much money gets too bored and starts collecting all sorts of stuff that can be called art. So the collectiontruly is impressive. If you look at the significance of it though, you recognize that there is no historical worth to find in it. A private museum. I had no idea what it could be. But the collection of artifacts is totally stunning. Ivory crafts, crystal decoratives, ancient traditional items and what not. This museum breaks usual museum clichés and it never make the visitors regret visiting it.